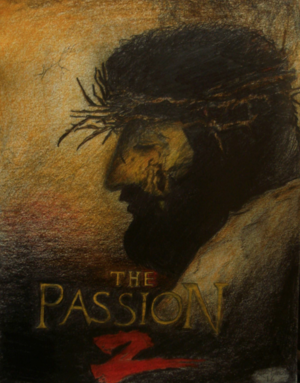 Posted in Misc and tagged Gary Jones, Mel Gibson, Passion of the Christ, sequel at 2:13 pm on November 7, 2016 by Broadsheet. They clearly left it open for a sequal. He’s back… And this time it’s personal. a pope visit and a new passion movie, all in time for the referendum on the 8th. Once you stop believing in the fairy tales it’s impossible to start again. You just can’t get that suspension of disbelief back, no matter how many Popes come calling. i dunno repro, i’d say they still have a sneaky bless of themselves when no-one’s looking.. It seems that Mel Gibson is being allowed to come back in from the cold. How do we feel about that? Feel absolutely fine about it. No noncery of any kind involved as Yep mentioned. The goy who came in from the cold. We should boycott any products associated with this bigot. He said twould be another 3 years before it’s made. What a shame, I actually thought Apocalypto was really good. Has anyone seen Hacksaw Ridge? He nailed the first one, I’m sure he can nail it again ! ah clamps, if you were a woman you’d get away with it, eh? ugh mel gibson is literally a nazi how is he not in jail?!?!?! the first movie was dangerously offensive to muslims, jewish and atheists, christianity invented hatred slavery and war it should not be promoted.